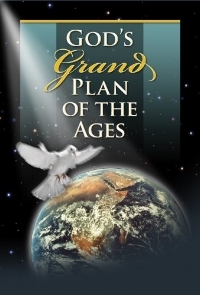 Get your free copy of the booklet, God’s Grand Plan of the Ages. Complete the form below to download your Acrobat PDF copy of this wonderful eBook. Specially formatted for printing at home or reading on your e-reader. Click here to download God’s Grand Plan of the Ages booklet now. Get your free copy of the booklet, And God Cried. Complete the form below to download your Acrobat PDF copy of this wonderful eBook. Specially formatted for printing at home or reading on your e-reader. Click here to download And God Cried? booklet now. Get your free copy of the booklet, Do We All Worship The Same God? Complete the form below to download your Acrobat PDF copy of this wonderful eBook. Specially formatted for printing at home or reading on your e-reader..
Click here to download the Do We All Worship Then Same God? booklet now. Get your free copy of the booklet, Glossolalia. Complete the form below to download your Acrobat PDF copy of this wonderful eBook. Specially formatted for printing at home or reading on your e-reader. Click here to download the Glossolalia booklet now. Get your free copy of the booklet, I Will Come Again. Complete the form below to download your Acrobat PDF copy of this wonderful eBook. Specially formatted for printing at home or reading on your e-reader. Click here to download the I Will Come Again booklet now. Get your free copy of the booklet, Israel A Nation of Miracles. Complete the form below to download your Acrobat PDF copy of this wonderful eBook. Specially formatted for printing at home or reading on your e-reader. Click here to download the Israel A Nation of Miracles booklet now. Get your free copy of the booklet, The Israeli Arab Peace Process and Bible Prophecy. Complete the form below to download your Acrobat PDF copy of this wonderful eBook. Specially formatted for printing at home or reading on your e-reader. Click here to download the Israeli Arab Peace Process and Bible Prophecy booklet now. Get your free copy of the booklet, Why Are You A Christian? Complete the form below to download your Acrobat PDF copy of this wonderful eBook. Specially formatted for printing at home or reading on your e-reader. Click here to download Why Are You A Christian booklet now. Get your free copy of the booklet, The Lord Our God is One Lord — Complete the form below to download your Acrobat PDF copy of this wonderful eBook. Specially formatted for printing at home or reading on your e-reader. 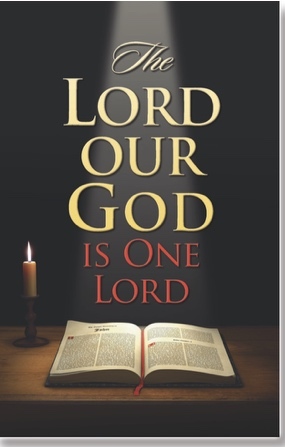 Click here to download The Lord Our God is One Lord booklet now. Get your free copy of the booklet, What is This World Coming To? Complete the form below to download your Acrobat PDF copy of this wonderful eBook. Specially formatted for printing at home or reading on your e-reader. Click here to download What is This World Coming To? booklet now.